The unfortunate truth is that the world of politics can be a confusing place for adults, let alone young people. With less experience of politics and life in general, it is true that youth are likely going to have less understanding and therefore interest in the current political climate and its effect on everyday life. However, it is important not to make broad, sweeping judgements about young people’s investment in politics. So are young people engaging in politics or are they uninterested and apathetic, as the stereotype would have us believe? It seems the answer is that young people are not as disengaged as we would think – they are just engaging in different ways. Traditional methods of communication and engagement are changing and young people are at the forefront of this change. The advent of social media and other forms of online communication has seen a shift in how we interact with one another and those who are in charge of running our country. In place of writing a letter to the editor or calling in to the radio, we see a status on social media or a blog post. Where we used to see face-to-face discussions, we now see online forums that delve into current issues and debate the merit of opposing political views. Online petitions are also now commonplace and it does not take much to stumble across a politically motivated blog or awareness campaign. Unsurprisingly, it has been found that young people are engaging with the issues that have the greatest impact on them. Topics such as education funding, global warming and housing affordability are discussed more regularly among the nation’s youth than many might think. 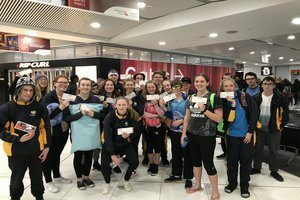 As Australian politics is part of the curriculum from Years 7 to 10, Esperance Anglican Community School students are exposed to a deeper look at our country’s political practices well before they are allowed to vote. This gives them time to form their own opinions and gain political know-how so that they are equipped to make informed decisions by the time they reach voting age. Our local MP, Rick Wilson, and MLA, Colin D Grussa, visit the school at least once a year to inform students on the workings of the government and the political scene in general. A world issues discussion forum is held weekly for staff and students. In addition to this, a Model United Nations Group has been created for attendees to increase their understanding of Australian politics and the state of the world’s political and economic climate. The ability to communicate so freely and quickly online has meant that people, young and old, can now not only do more research into their voting options but also voice their political opinions freely and often without moderation. Professor of Political Sociology at The University of Sydney, Ariadne Vromen, states that “… millennials take a digital-first approach to political engagement”. It would seem that young people of today are indeed more engaged and involved than some might think. Their involvement is just not as visible to some due to the engagement taking place on non-traditional channels. 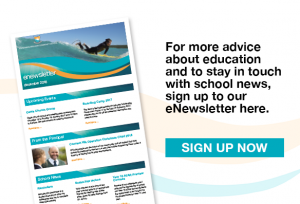 If you would like to know more about Esperance Anglican Community School and how we can help your child fulfil their potential, sign up to our newsletter.